arthur zbygniew: kelly's murder, raison d'etat: 70 years secret! 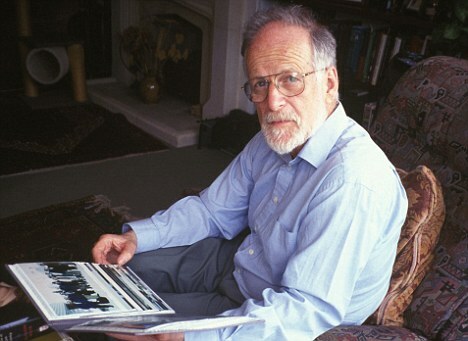 Vital evidence which could solve the mystery of the death of Government weapons inspector Dr David Kelly will be kept under wraps for up to 70 years. 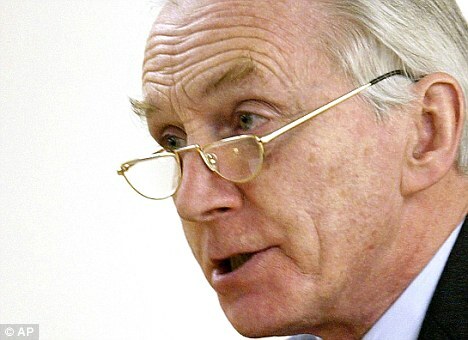 In a draconian – and highly unusual – order, Lord Hutton, the peer who chaired the controversial inquiry into the Dr Kelly scandal, has secretly barred the release of all medical records, including the results of the post mortem, and unpublished evidence. The move, which will stoke fresh speculation about the true circumstances of Dr Kelly’s death, comes just days before Tony Blair appears before the Chilcot Inquiry into the Iraq War. It is also bound to revive claims of an establishment cover-up and fresh questions about the verdict that Dr Kelly killed himself. Saddam Hussein had an arsenal of weapons of mass destruction, which could be deployed within 45 minutes. Lord Hutton’s 2004 report, commissioned by Mr Blair, concluded that Dr Kelly killed himself by cutting his wrist with a blunt gardening knife. It was dismissed by many experts as a whitewash for clearing the Government of any culpability, despite evidence that it had leaked Dr Kelly’s name in an attempt to smear him. Only now has it emerged that a year after his inquiry was completed, Lord Hutton took unprecedented action to ensure that the vital evidence remains a state secret for so long. A letter, leaked to The Mail on Sunday, revealed that a 30-year ban was placed on ‘records provided [which were] not produced in evidence’. This is thought to refer to witness statements given to the inquiry which were not disclosed at the time. In addition, it has now been established that Lord Hutton ordered all medical reports – including the post-mortem findings by pathologist Dr Nicholas Hunt and photographs of Dr Kelly’s body – to remain classified information for 70 years. The normal rules on post-mortems allow close relatives and ‘properly interested persons’ to apply to see a copy of the report and to ‘inspect’ other documents. Lord Hutton’s measure has overridden these rules, so the files will not be opened until all such people are likely to be dead. The restrictions came to light in a letter from the legal team of Oxfordshire County Council to a group of doctors who are challenging the Hutton verdict. Last year, a group of doctors, including Dr Powers, compiled a medical dossier as part of their legal challenge to the Hutton verdict. They argue that Hutton’s conclusion that Dr Kelly killed himself by severing the ulnar artery in his left wrist after taking an overdose of prescription painkillers is untenable because the artery is small and difficult to access, and severing it could not have caused death. The letter disclosing the 70-year restriction was written by Nick Graham, assistant head of legal and democratic services at Oxfordshire Council. Nicholas Gardiner, the Chief Coroner for Oxfordshire, confirmed that he had seen the letter. He added that in his opinion Lord Hutton had embargoed the records to protect Dr Kelly’s children. The inquest into Dr Kelly’s death was suspended before it could begin by the then Lord Chancellor Lord Falconer. He used the Coroners Act to designate the Hutton Inquiry as ‘fulfilling the function of an inquest’. News that the records will be kept secret comes just days before Mr Blair gives evidence to the Chilcot Inquiry on Friday. To date, Dr Kelly’s name has scarcely been mentioned at the inquiry. One source who held a private meeting with Sir John Chilcot before the proceedings began said that Sir John had admitted he ‘did not want to touch the Kelly issue’ . A spokesman for Thames Valley Police said yesterday that it would not be possible to search their records during the weekend. The Mail on Sunday was unable to contact Lord Hutton.